We didn’t think it possible after so many years of Obama, but it’s happening now. 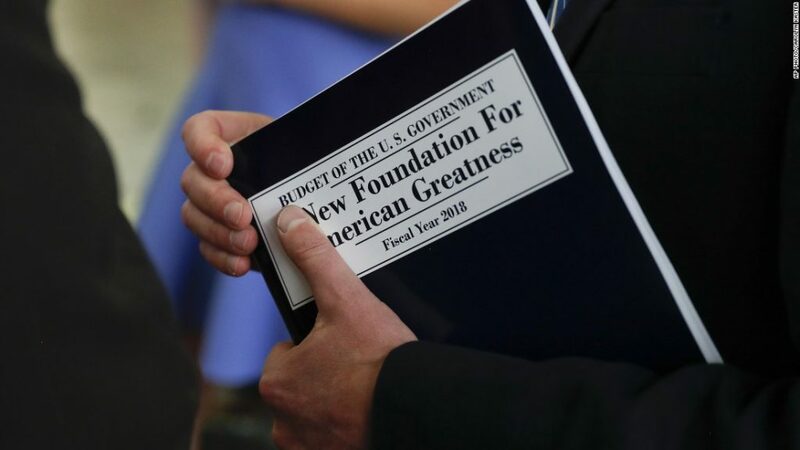 President Trump’s 2018 budget will save $190 billion over the next ten years, all by requiring those that are able-bodied adults to actually work to receive their food stamps. America has a leader who is willing to take the lashings from the left and start America back on her path to self-reliance. No more handouts, no more enabling our own people to become lazy, unprepared and thinking they cannot do hard things. As of recent times, the amount of Americans on food stamps jetted to an all time high; 50 million Americans now receive food stamps or use Electronic Benefits Transfer cards, otherwise known as EBT cards at grocery and convenience stores to buy both food and drinks. This 50 million on food stamps equals a total of 15 percent of the country’s population, a far cry from the 17 million Americans who received food stamps in 2000. Food stamps, officially known as the Supplemental Nutrition Assistance Program (SNAP), cost taxpayers more than $83 billion a year. The government remains unable to rein in costs, because the government does not have statistics as to how much food stamp recipients spend on kitchen staples such as meat and vegetables, compared to soda, candy, and potato chips. A 2011 study confirmed that food stamp recipients spend more money on candy compared to any other food item. Trump’s budget would require states to fund one dollar for every four dollars the federal government spends on food stamps. Many states have work requirements for food stamps. However, the Obama administration granted states waivers during the recession, and many states continue to use waivers for the food stamp requirements. In 2014, Maine dropped its waiver for work requirements, and required everyone who could work and did not have dependents to either get employment for at least 20 hours a week, enter job-training programs, or volunteer a minimum of 24 hours a month. Before Maine dropped its waiver in 2014, there were 13,332 food stamp recipients. By March 2015, the number of food stamp recipients dropped by 80 percent, to 2,678 recipients who decided to get a job, participate in job training, or volunteer. Roughly 9,000 people dropped out of the program, leading many analysts to observe that many of those food stamp recipients worked off the books and used food stamps to save money for other expenses. Others stipulated that many became so dependent on government welfare that they could not volunteer 24 hours a month, or roughly one hour of work per day. Some studies estimate that 4.7 million Americans receive food stamps who are able-bodied, not elderly, and do not have children or dependents. Requiring work for food stamps would save the country $8.4 billion every year. This is a promise he is well on his way to fulfilling, even though he’s having to endure through the sabotage and destruction the left and sadly some of the right are doing to silence him, and take him out of the White House. God bless America, her President and her people.